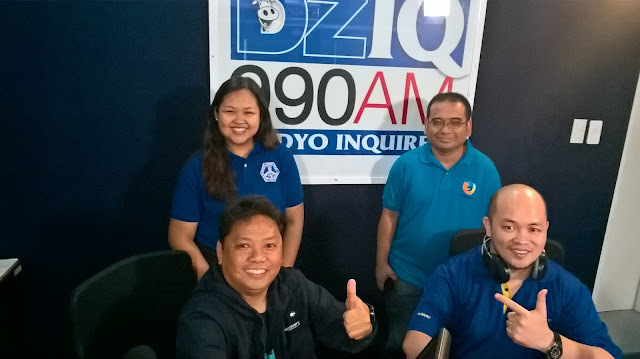 Last Saturday's episode of Vigattin rdaio at Radyo Inquirer DZIQ 90 AM was composed of three sets of guests, two personally in the studio and one on phone patch all the way from Tuguegarao. 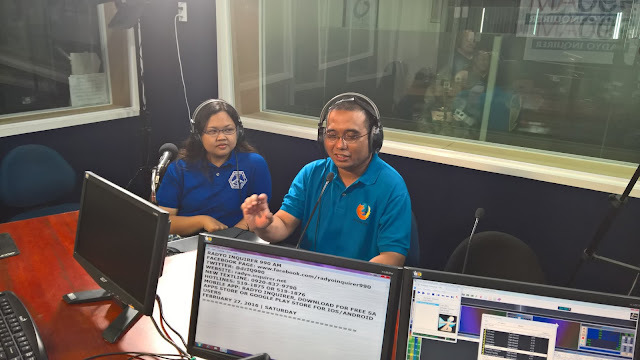 We had Bob Reyes from Mozilla Philippines who talked about their initiatives toward a more connected experience with the development of connected devices. It's like the everyday appliances and gadgets conspiring with one another to keep us on the loop and well-informed via devices that can sense our needs and communicate with us when necessary. People usually think of the Firefox browser when you mention Mozilla since it was the more popular competitor of the other browsers back then. Bob says they are different for being non-profit and prioritizing security and confidentiality above anything else. Meanwhile, MJ Guttierez from the Institute of Electronics Engineers of the Philippines (IECEP) -QC Chapter, talked about the future projects of their school organization including their social responsibility programs, their career development program, leadership training seminars and many more. MJ is keen on joining the mother IECEP organization which caters to the ECE professionals already. IECEP was one of my organizations way back in college at the Mapua Institute of Technology so it was thrilling to hear some updates about it. The kids nowadays may have the advantage of being able to get as much assistance as possible due to the advancement in technology making the accessibility to information very easy, however it is still a wonderful opportunity to connect with like-minded individuals by being part of school organizations. 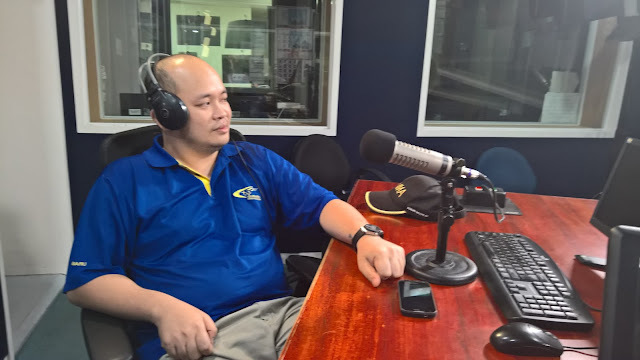 Last was the phone patch interview with Carlos Babara, a faculty member from the St. Paul College of Tuguegarao and the organizer of the Cyber Summit to be held at their place on March 9 to 11. The event has a theme of “Advancing the Frontiers of Information Technology: Towards the Realization of the Vision of ASEAN Integration.” The sumit will be held at the Learning Resource Center Building of the school. This activity aims to update IT students, practitioners, engineers and professionals on the current technology driven trends, issues and innovations in information technology to meet the demands of the ASEAN labour market. I would also like to thank fellow blogger Jayson Biadog for joining me last Saturday as my co-anchor. He sure brought out interesting sets of questions for our guests who were able to answer his inquiries to the dot. It is amazing to know that our guests may soon think of ways in collaborating with each other soon. This normally happens in Vigattin of Radyo Inquirer where people find themselves becoming partners for future events and innovations. I hope these amazing meet-ups continue towards more fruitful endeavors.